Yale University Press, 9780300186390, 232pp. 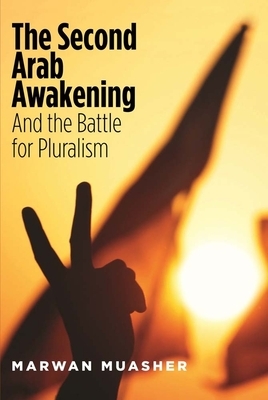 This important book is not about immediate events or policies or responses to the Arab Spring. Instead, it takes a long, judicious view of political change in the Arab world, beginning with the first Awakening in the nineteenth century and extending into future decades when—if the dream is realized—a new Arab world defined by pluralism and tolerance will emerge. Marwan Muasher, former foreign minister of Jordan, asserts that all sides—the United States, Europe, Israel, and Arab governments alike—were deeply misguided in their thinking about Arab politics and society when the turmoil of the Arab Spring erupted. He explains the causes of the unrest, tracing them back to the first Arab Awakening, and warns of the forces today that threaten the success of the Second Arab Awakening, ignited in December 2010. Hope rests with the new generation and its commitment to tolerance, diversity, the peaceful rotation of power, and inclusive economic growth, Muasher maintains. He calls on the West to rethink political Islam and the Arab-Israeli conflict, and he discusses steps all parties can take to encourage positive state-building in the freshly unsettled Arab world. Marwan Muasher is vice president for studies at the Carnegie Endowment, overseeing research in Washington and Beirut on the Middle East. He has served as Jordan’s ambassador to the United States, foreign minister, and deputy prime minister. He lives in Washington, DC.